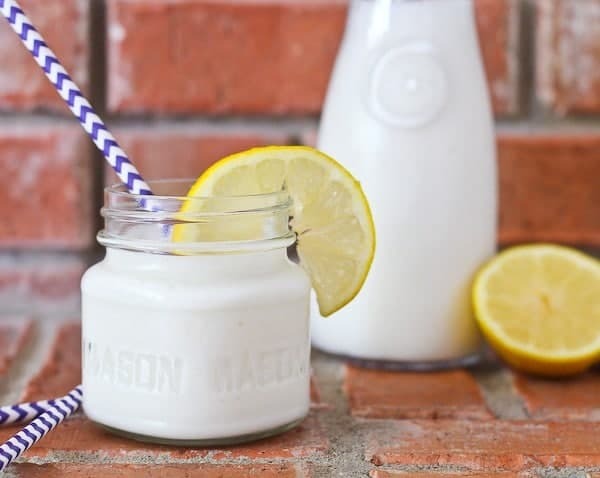 This creamy lemon smoothie is refreshing, easy to make, and you probably have all the ingredients in your house already. It’s great for kids, too! The start of spring in Michigan is very bad for my productivity. Verrrrry bad. I mean let’s be real – I’d be a bad mom if I kept my kids inside when it is FINALLY nice out. It just wouldn’t be right. Procrastination is at its maximum. Deadlines sneak up quickly as we blow bubbles and swing in the backyard. Recipes go unmade as we take a walk around the block. Carryout gets picked on the way home from the park. But smoothies. Smoothies are the answer to everything. They take about 2 minutes to make. They are refreshing on a hot day. On the laziest of days, the right smoothie can even substitute for a meal. The only thing that takes a couple minutes is photographing the smoothie but then I’m right back out in the backyard sipping something delicious from a fun paper straw. So I’m sure you can imagine what excitement I felt when Deborah Harroun‘s latest book arrived in my mailbox. Many of you probably know Deborah from her blog Taste and Tell, and perhaps also from her Red Velvet Lover’s Cookbook. It’s a gorgeous book with beautiful color photos and such innovative recipes. 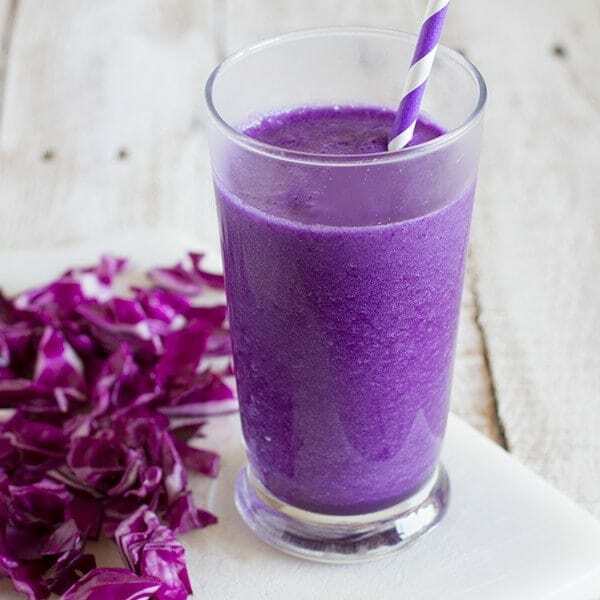 I can’t wait to try the Pineapple, Red Cabbage & Banana smoothie. Red Cabbage! The color is absolutely breathtaking! 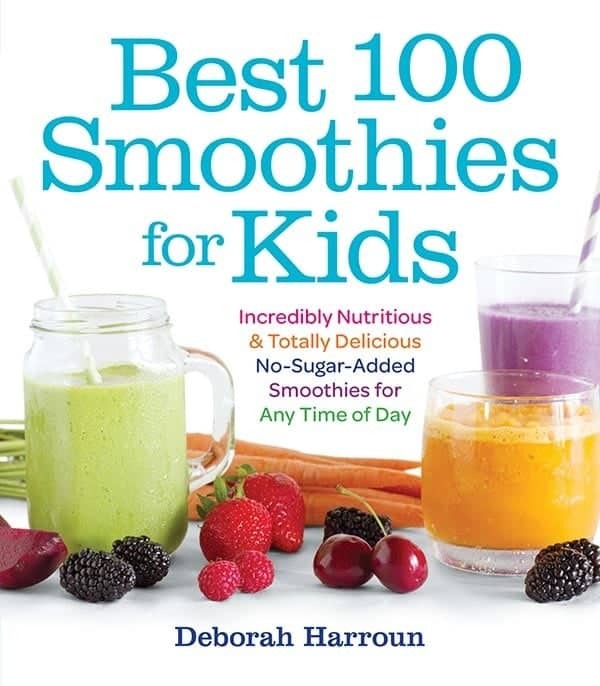 There’s about 100 smoothies in this book that I want to try, but I just have to share one more with you — how fun is this Candy Corn Smoothie for Halloween? It uses banana, carrot juice, mango and pineapple. 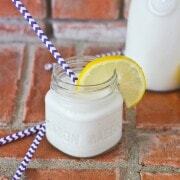 The creamy lemon smoothie that I made was a hit with my kids, Ben, and my parents. 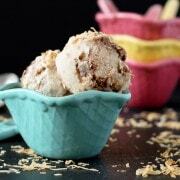 It was undeniably refreshing and so simple to make. Pour the milk into a blender. Add the yogurt, lemon juice, and sweetener. Top with ice and blend until smooth. 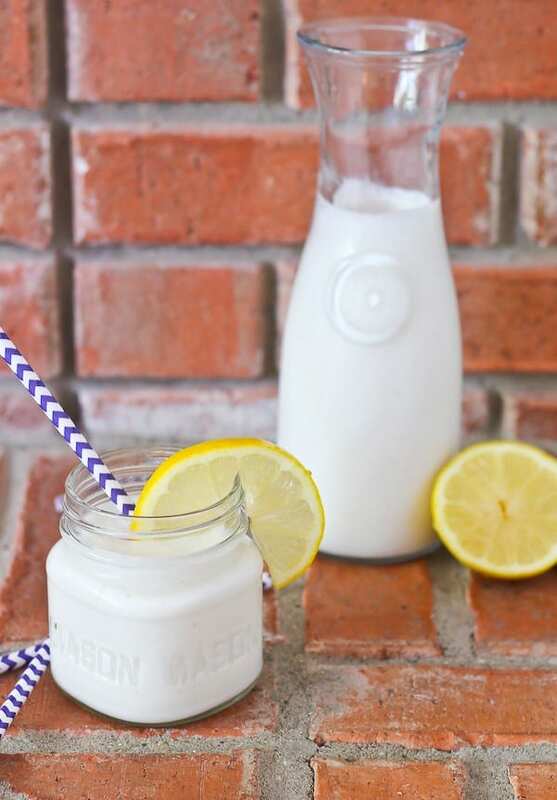 Verdict: We ALL loved this creamy lemon smoothie. Craving more sip-able smoothies? 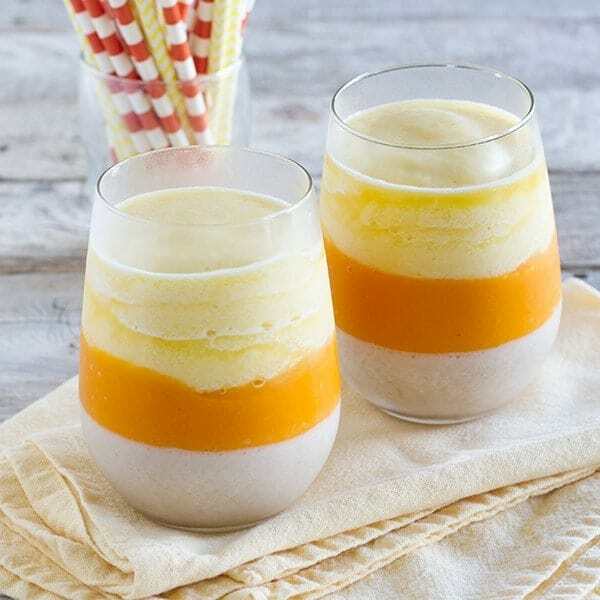 Try: Creamy Mango Smoothie, Raspberry Mango Coconut Water Smoothie, Clementine Smoothie with Vanilla, or if that’s not enough, you can check out my list of FIFTY smoothie recipes. Or buy Deborah’s book, OF COURSE. Disclosure: I was provided with a copy of the book to review. All opinions are my own, as always. I consider Deborah a friend which means I do want her to succeed but I’m also comfortable enough to call her out if her book was sub-par. Which it most definitely is not. delicious!!! i’m a sucker for lemon and this really hit the spot!! Easy to make. Great taste . Love it . 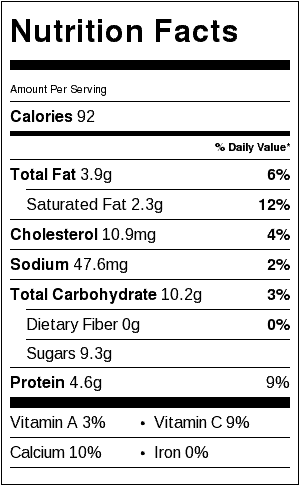 I added Almased for protein . I love lemon!!! Never thought of a lemon smooth. 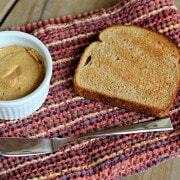 This is a cinch and low in calories too. Wow, thank you! Looks so perfect for summer! I love making smoothies. Great cookbook Deborah! We love smoothies. I think I’ll have to get that book. Wow!! I would never thought of a lemon smoothie. This will be super great on those hot days where you need something light and refreshing as a picker-upper. I hear ya on the nice days not getting anything done!! We have been having endless rainy days here in Colorado and so when the sun is finally out and it is halfway warm we are out all day long!! And yes many things I had planned on making get pushed aside, but oh well! 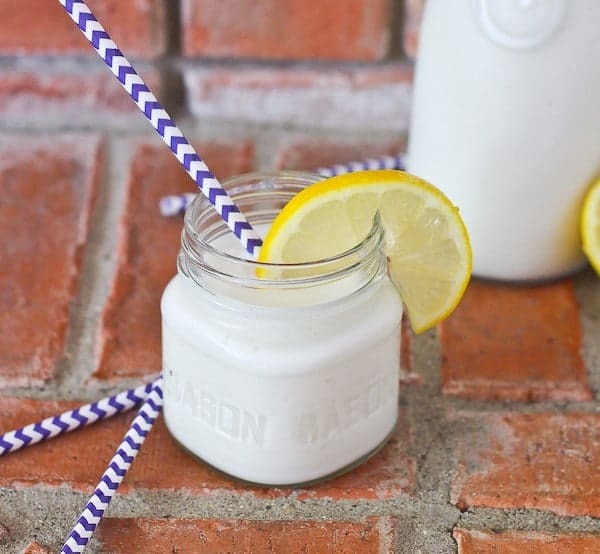 We’ve been spending most of our days outside enjoying the warmer weather too and this smoothie sounds like the perfect cool treat to come inside too. Love anything lemon! It sounds so delicious and refreshing! Deb’s book look awesome too! I am a total lemon girl, so I’m so glad you made this one!! Thank you so much for sharing, and for your kind words. 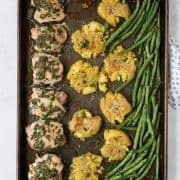 I hope you love all of the recipes! !